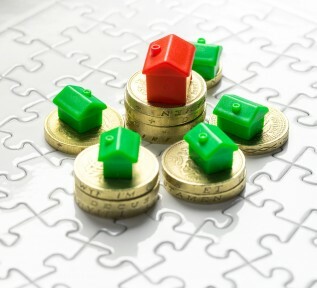 Invest in Buy-to-Let property opportunities with L&A Lettings. We have opportunities for both fresh and savvy landlords. Due to the potential to provide high Capital Growth as well as a healthy rental income, buy-to-let has become a mainstream investment option for many new and existing landlords. There has seldom been an appealing time than now to jump into the buy-to-let market and take advantage of the high yields, low prices and an immediate capital gain from the onset. The number of people renting in the UK today is on the rise due to the fluctuations in the property market. This can only mean good news for the buy-to-let landlords. Profits can be obtained in two main ways with a buy-to-let investment; that is through rental yields (rents paid by tenants minus operational and maintenance costs) and capital gain (earnings from the sale of your property in the future). Due to our track record and reputation, we have developed excellent working relationships within the industry which enables us obtain buy to let properties at prices below market value. These will always be in excellent rental locations, including Wednesfield, Wolverhampton and Bloxwich where void periods are kept to a minimum. We can source the properties negotiate favourable deals, and L&A Lettings will manage the property on the landlord’s behalf. With the opportunity to negotiate great deals, our investors can achieve excellent yields and capital growth. Over the past few years, we advised and helped numerous individuals to get started on the property ladder. Many great deals have been sealed and continue to be available in this competitive market. Our safe and secure, buy-to-let investments are perfect for investors looking to build their property portfolios successfully, or for those looking for a higher return than they currently get from banks, pensions, bonds and the stock market. At L&A Lettings, we are always happy to help clients who are interested in either expanding an existing portfolio or becoming first time landlords. We offer full property management services for your newly acquired property. We provide free valuations and consultations with new and existing landlords. Before tenant approvals, we carry out effective tenant vettings to ensure we get only responsible and trustworthy tenants for your property. However, If you choose to opt out of our full property management services, we have a let only service which might suit your needs. The first month’s rent and damage deposit will be collected. We will carry out tenant vetting and credit checks. We will inform the utility corporations of a change of tenant. We will develop a written and photographic inventory of the property. Your property will be in a favourable state for you to control throughout the term of the tenancy agreement, in the knowledge that L&A Lettings are a phone call away should you need further assistance occur. Contact L&A Lettings today and register your interest by requesting a valuation on your property. Use the contact us form, email us your details or give us a call. You can also visit our new office located at: 84 Griffiths Drive, Wednesfield, WV11 2JW for a face-to-face chat.